As Central Ohio’s largest retirement community, Friendship Village of Dublin brings together retirees from diverse backgrounds and experiences. In January, this was on full display during our first World Travelers Lunch. 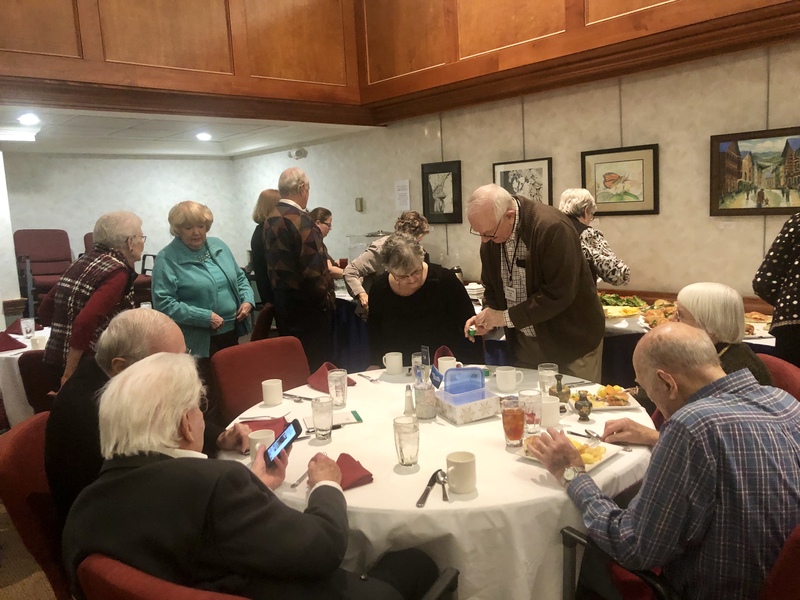 Designed to connect residents with a passion for travel, the event was filled with delicious food, interesting stories and recommendations for adventurous seniors. More than forty residents attended — seven of whom had visited all 50 states and six of whom had visited every continent. 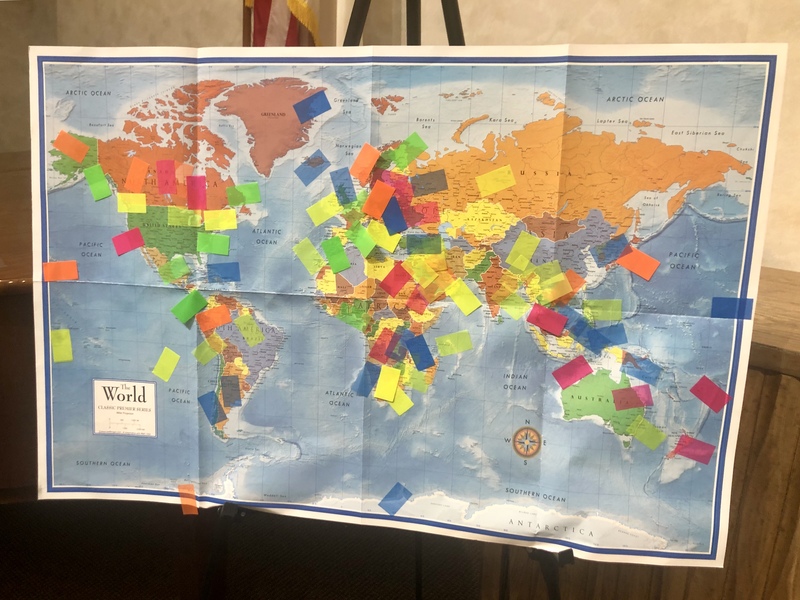 Residents showcased the many places they’ve traveled by marking a community map. Perhaps one of the most well-traveled people in attendance was Rohini Mulchandani, Ph.D. A retired Senior Scientist and Product Developer from Abbott Laboratories and a lifelong traveler, Rohini started seeing the world in 1964 when she moved from India to graduate school in the United States. She has since visited countless destinations. For Rohini, traveling isn’t just about seeing new places and experiencing new cultures. It’s about embracing lifelong curiosity. When she heard Friendship Village of Dublin was hosting the World Travelers Lunch, she was one of the first residents to sign up. With a lifetime of travel under her belt, she was excited to share her stories and meet neighbors with similar interests. It’s the enthusiasm for new experiences that Rohini believes sets the community apart from others. Attendees shared their stories over a delicious meal. Are you looking for a community that lets you thrive in retirement? Friendship Village of Dublin offers an all-inclusive retirement experience that brings together social connection, high-end amenities and holistic life Care services — all for a steady rate, regardless if your needs or circumstances change as you age. If you’re interested in learning more about our community, schedule a tour.